Home / International Accounting / MCom (sem 4) / International classification of financial accounting and reporting. international accounting classified in groups. it is possible divide classification into those based external factors and accounting practices which presents a classification of classifications. Nature of classification and techniques is very useful to examine traditional methods of classification in areas close to accounting. 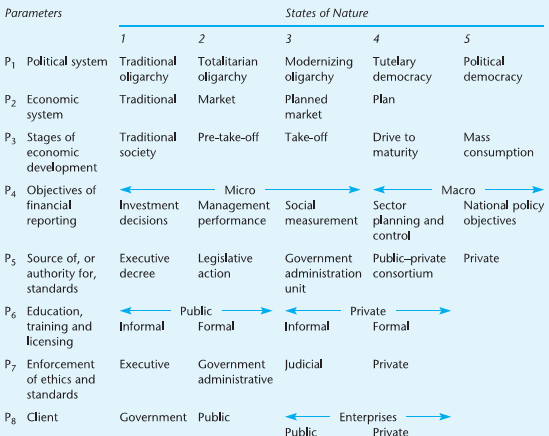 There have been classification of Political , economic and legal systems. For example , political system have been grouped into political democracies, tutelary democracies. Economic system have been divided into capitalism, socialism, communism and fascism. Another classification traditional . Accounting practices is classified in to two parts. accounting within a macro economic framework :- In this group, accounting has developed as an adjunct of national economic policies. We might expect such financial accounting to stress value added statements, to encourage income smoothing, to be equivalent to tax accounting and to include social responsibility accounting. Sweden was said to be an example. The microeconomics approach. This approach can prosper in a market-oriented economy that has individual private businesses at the core of its economic affairs.The influence of microeconomics has led accounting to try to reflect economic reality in its measurements and valuations. This means that accounting rules must be sophisticated but flexible. Developments such as replacement cost accounting will be accepted most readily in such systems. The Netherlands was suggested as an example. Accounting as an independent discipline. Systems of this sort have developed independently of governments or economic theories. Accounting has developed in business, has faced problems when they arrived and has adopted solutions which Chapter 3 International classification of financial reporting worked. Theory is held in little regard and turned to only in emergencies or used ex posting an attempt to justify practical conclusions. Expressions such as‘generally accepted accounting principles’ are typical. Mueller recognized the accounting systems of the United Kingdom and the United States as examples. Uniform accounting. Such systems have developed where governments have used accounting as a part of the administrative control of business. Accounting can be used to measure performance, allocate funds, assess the size of industries and resources, control prices, collect taxation, manipulate sectors of business, and soon. It involves standardization of definitions, measurements and presentation.France was cited as an example. Morphologies Classification Although such parameters as the first two (political and economic systems) may seem less relevant than actual characteristics of accounting practice, it may well be important to include them in order to avoid classifications based on temporary superficial similarities. As the AAA’s Committee on International Accounting notes, ‘Parameters...P1P2 are viewed as being pivotal to the type of accounting system which does (or can) emerge’ (page 97). Unfortunately, these morphology have not yet been taken further by combining them with empirical data. Cultural classification As noted Hofstede’s (1980) cultural classification in order to propose explanations for international differences in accounting practices.Clearly, a cultural classification could then be used to propose an accounting classification, and Gray makes preliminary suggestions along those lines. Others (e.g. Doupnik and Salter, 1995) also make use of Hofstede’s factors in the context of accounting classification.It was suggested in Chapter 2 that it may be more useful to see culture as a background influence on the causes of international accounting differences. Competencies of auditors Shoenthal (1989) purports to show that the skills of newly qualified auditors in theUnited Kingdom and the United States could be used as a classifying variable.However, theremust be doubt whether this variable picks up anything relevant;and a two-country study can tell us nothing about classification except that the twocountries are different (Nobes, 1992b; Shoenthal, 1992). Introduction Some researchers have tried to classify by measuring accounting directly, either using the data collected by others or by generating their own. In most of these cases,the data relates to accounting rules (or to a mixture of rules and practices) rather than to accounting practices alone.An early attempt at classification and some more recent descriptions of different national systems form the background to modern intrinsic classifications. There is evidence for a three-group classification (United Kingdom, United States and Continental) being used from the beginning of the twentieth century (Hatfield, of1911 but published in 1966). Other descriptions and analyses, such as those by Zeff(1972), Price Waterhouse (1973, 1975 and 1979), AICPA (1964 and 1975), Coopers& Lybrand (1993), Alexander and Archer (2001) and Ordelheide and KPMG (1995and 2001), provide the raw material for intrinsic classification. Classifications using clustering Clustering produced two groups: one contained the United Kingdom and nine former members of the British Empire; the other contained the United States, France, Germany, South American countries, and all others except for the Netherlands and Canada which were said to be unclassified the financial reporting characteristics aredivided into those relating to measurement and those relating to disclosure. This isa useful differentiation, particularly because of the effect it has on the classification of countries such as Germany that had advanced disclosure requirements. This Is the Full Fledge Topic of International classification of financial accounting and reporting. Specially prepare for Long question. 80% chances of this Question in the Final exams. Note :- All material is taken from Internet source, or Experts author books or Expert Teachers. professor gerhard Mueller broke new ground by preparing international classifications of accounting and of business environment. 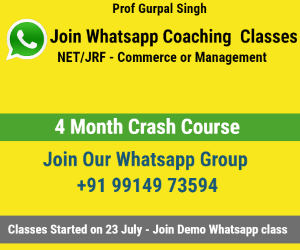 his classification of accounting system into four patterns of development is a simple grouping that is not accompanied by an explanation of the method used to obtain it. Mueller stress that the types of accounting rues that exist in a country are a product of economic, political and other environment, which have determined the nature of the system. this also suggests that other countries rules would not be appropriate to that country and that rules must be chosen to fit a country's need. consequently doubt is cast on the possibility and usefulness of harmonization. there are four group explained as follow. ""The purpose of the research was defined as the classification of countries by thefinancial reporting practices of their public companies. The countries chosen werethose of the developed Western world; the reporting practices were those concernedwith measurement and valuation.""